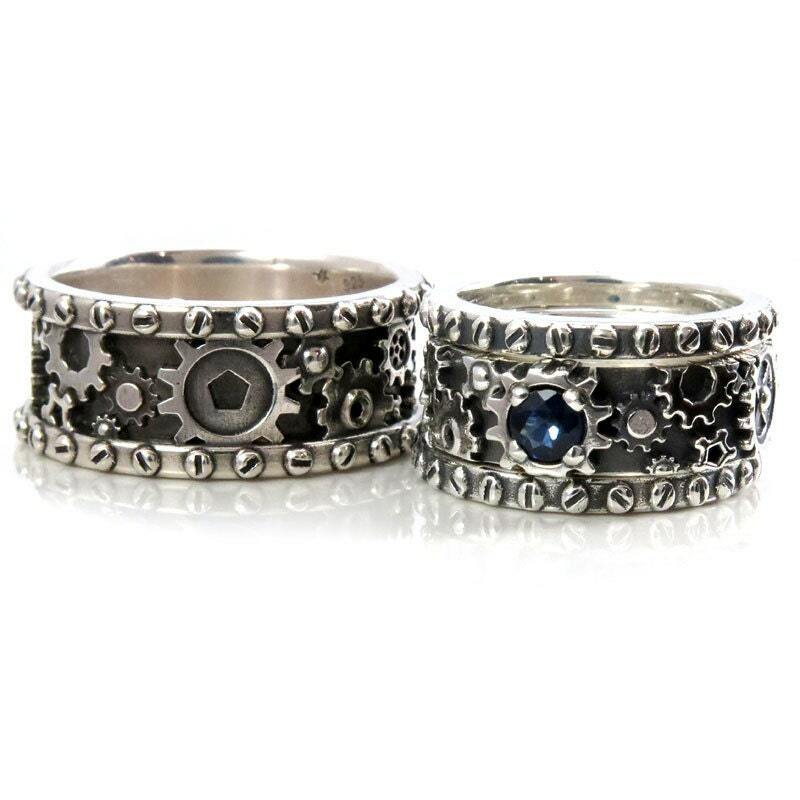 I have designed both of these steampunk gear rings using CAD technology. 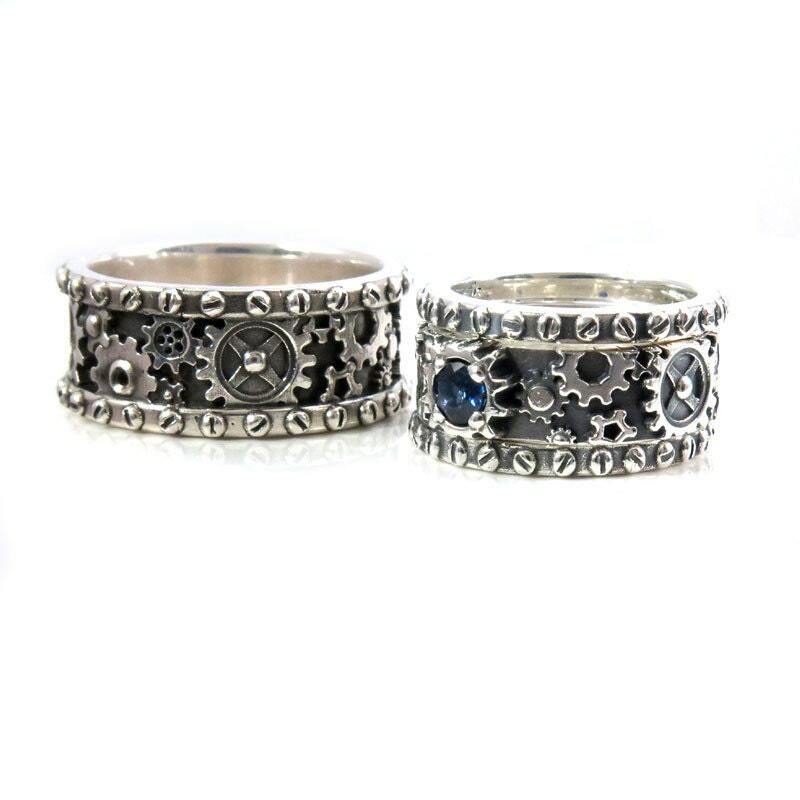 The mens ring is cast in sold sterling silver, it is just over 10mm's wide and has been oxidized and then polished. 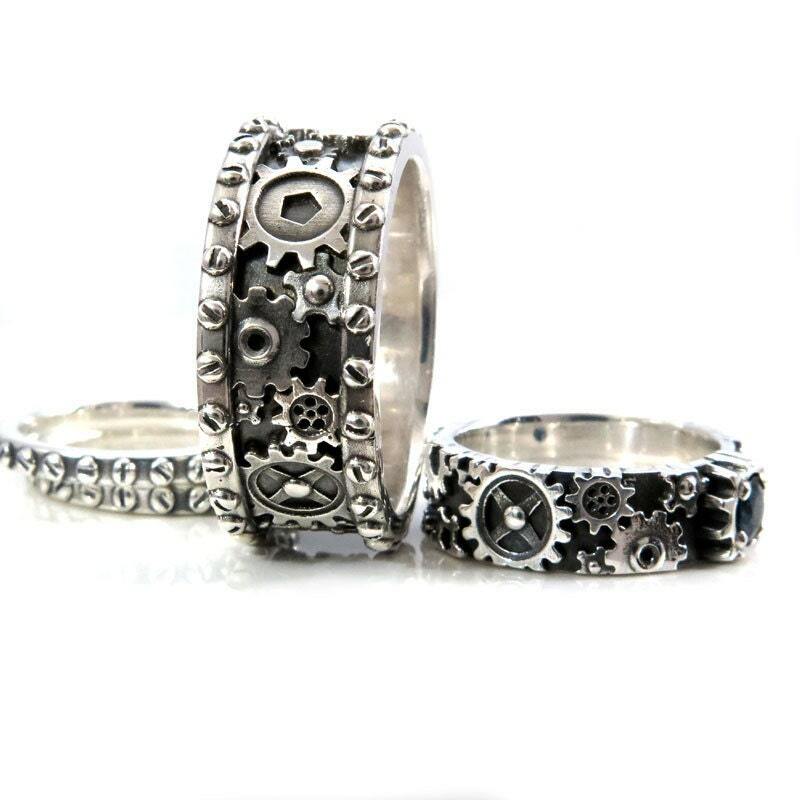 The women's ring has been cast as three solid sterling silver rings, the three ring when worn together are 10mm's wide. 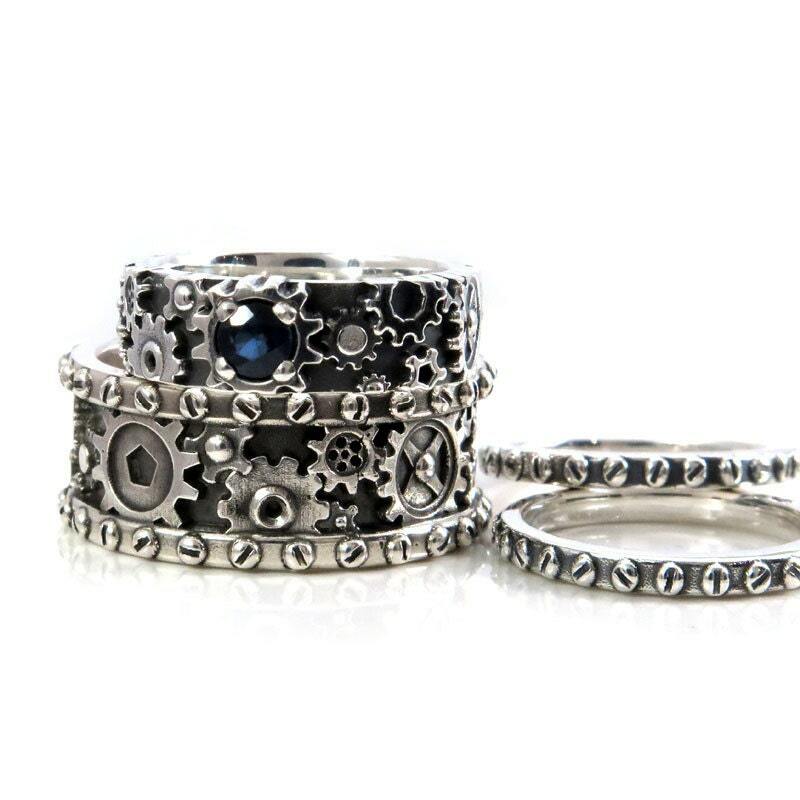 All three rings have been oxidized and then polished and one of the gears on the center band has been set with a 4mm blue Sapphire that weighs approximately .31 carats. 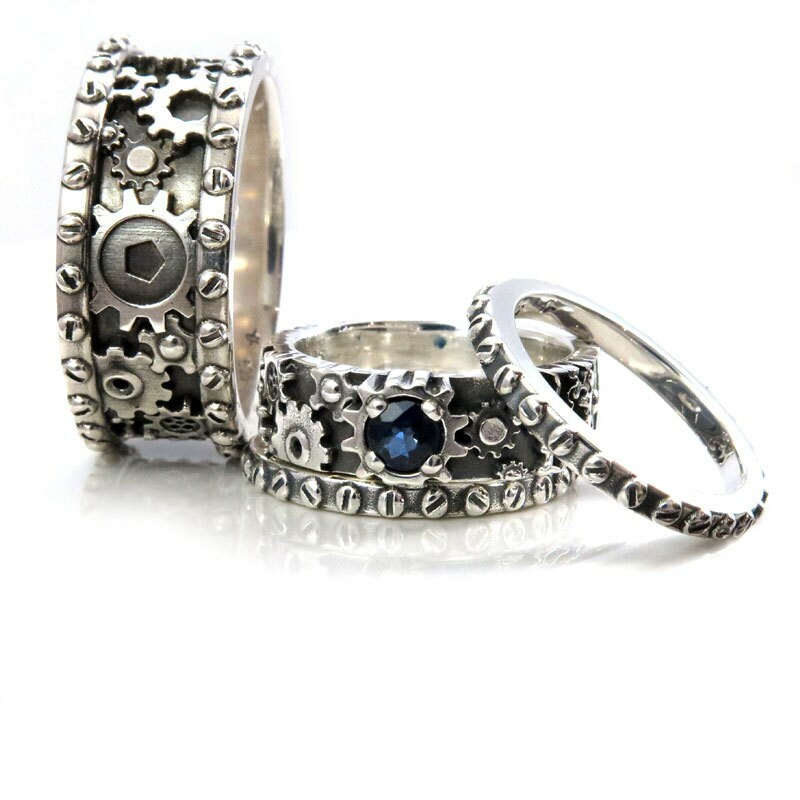 These rings will be made to order in each of your sizes, our turn around time is 4 weeks. They look amazing and fit perfectly! We can’t wait for the wedding to start wearing them. The leather box they came in even fits our wedding, and everything is just perfect.